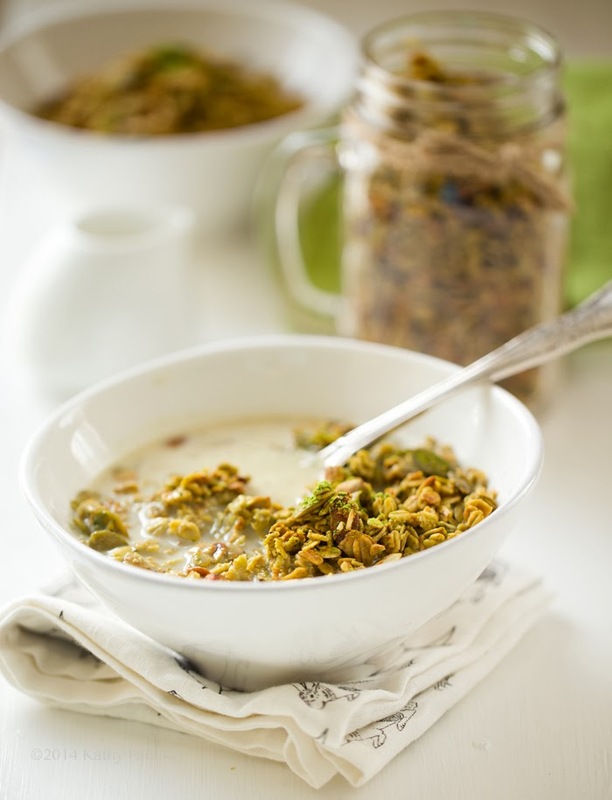 Granola isn't usually too surprising in flavor and texture. Some spice, lotsa crunch, plenty of nuttiness and richness from the baking (or dehydrating) process. But this granola feels different to me and I get excited just writing about it. 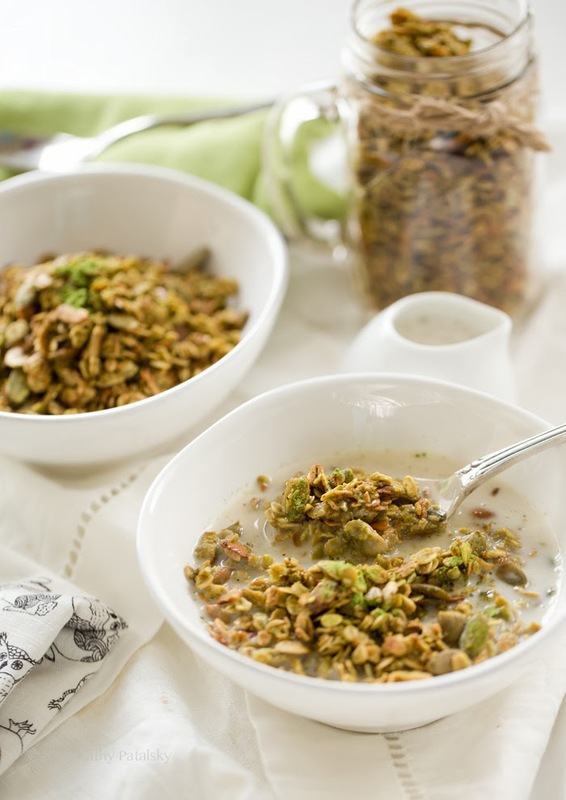 This crunchy granola is so easy to make and carries a unique flavor profile from earthy-sweet matcha green tea, vanilla and nutty, buttery pumpkin seeds. And to me, these flavors actually taste very familiar. Like a cereal from my childhood even. And yes, there is a whole story behind why I say that. 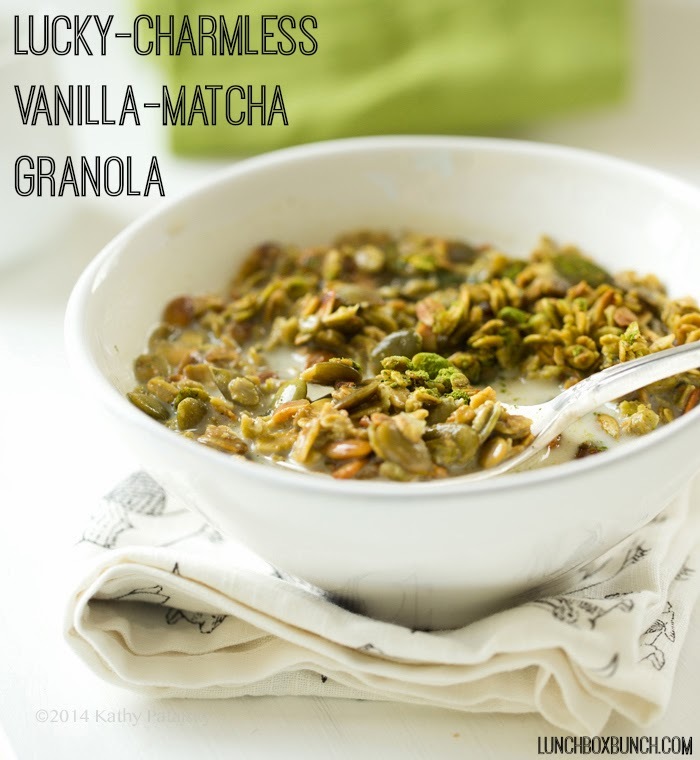 Check out my Lucky Charmless Vanilla-Green Tea Latte Granola! Perfect for springtime crunching in the morning!.. So you will think I am nuts at first glance. But I am telling you, this is my vegan version of Lucky Charms cereal. Ya, I know. There are no rainbow colors. No fluffy marshmallows. Not charms at all even. But close your eyes, take one bite and see what I mean. 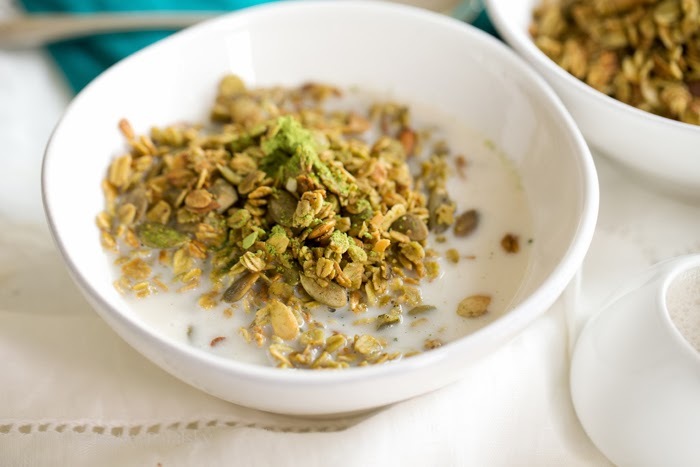 (Well, imagine much much less sugar too..) Here is how I came to this recipe and cereal revelation..
Anyways, so this lead me to think that vanilla-sweetened matcha, all creamy and lovely, resembles Lucky Charms. So, I decided to make it into a cereal. But instead of processed grains and such I just went all whole foods on it and did granola. Best part: This recipe is SO simple. 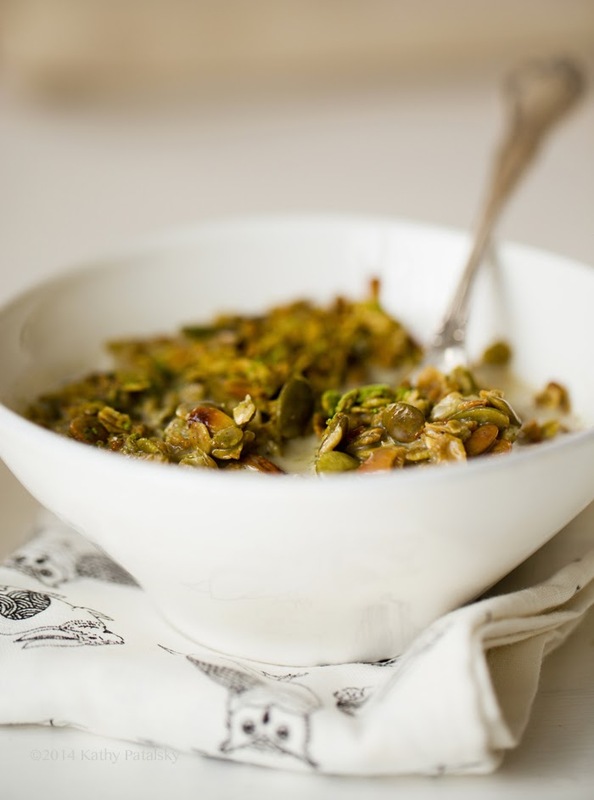 Oh and totally healthy since it contains whole grain rolled oats and whole, raw pumpkin seeds - rich in a plethora of minerals like magnesium and healthy fats too. This bowl, I totally love it. I let it sit and soak at least ten minutes before eating so it has a soft-meets-crunchy texture. And the green color is perfect for spring eating! Wake up to matcha in your bowl!.. 2. Add all ingredients to a large mixing bowl and toss very well. 3. Spread the tossed granola on a parchment paper-lined baking sheet - a rimmed baking sheet is easiest for tossing granola. 4. 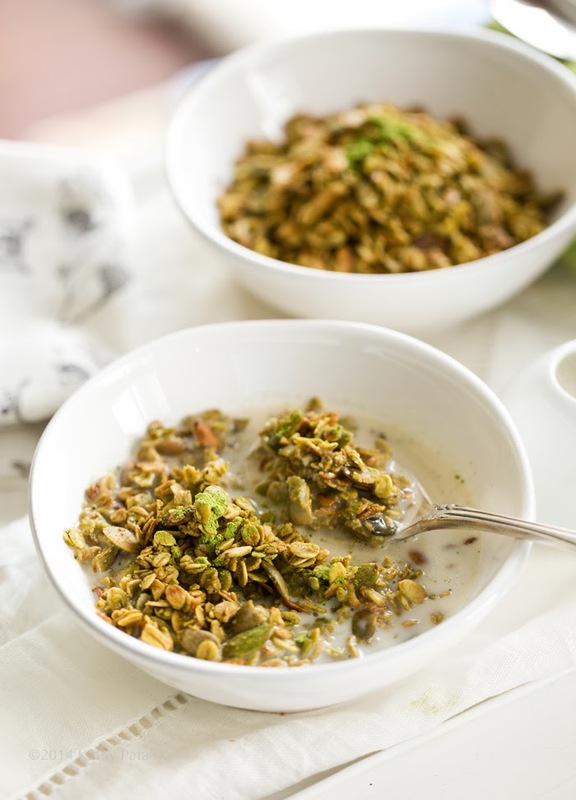 Bake granola for 25-35 minutes, tossing it every ten minutes. (Or bake until toasted and lightly browned.) The granola will firm up a bit as it cools because of the coconut oil. 5. 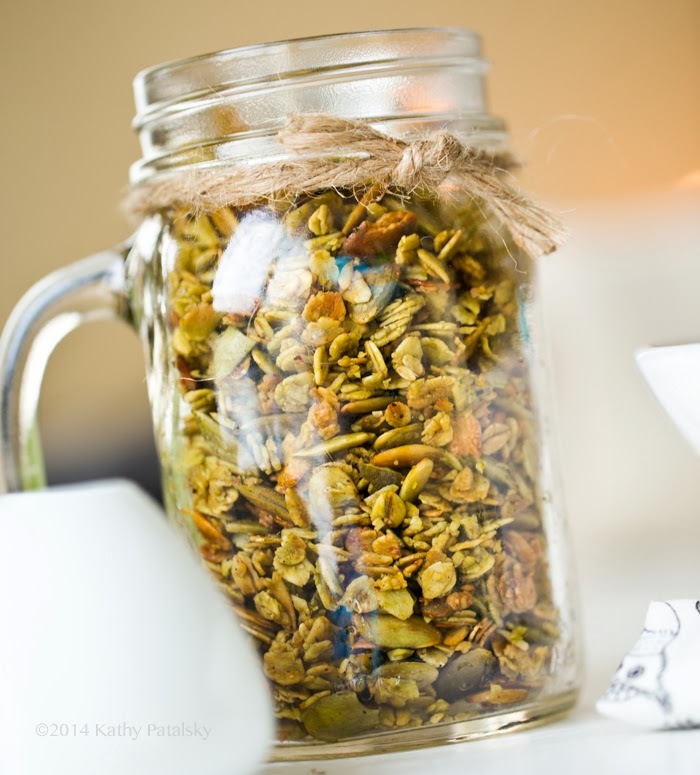 Allow the granola to cool at least 15 minutes before serving or transferring to storage jars or baggies. Serve as cold cereal, over top smoothies, parfaits and more! You could even soak overnight for overnight oats.